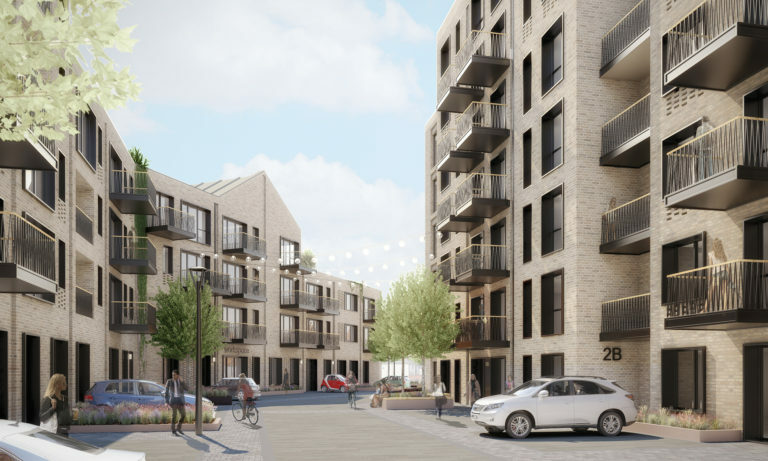 The scheme, developed by A2Dominion, is located on Boston Road and will offer 283 quality homes for genuinely affordable rent, shared ownership and for sale, just minutes away from Hanwell train station. 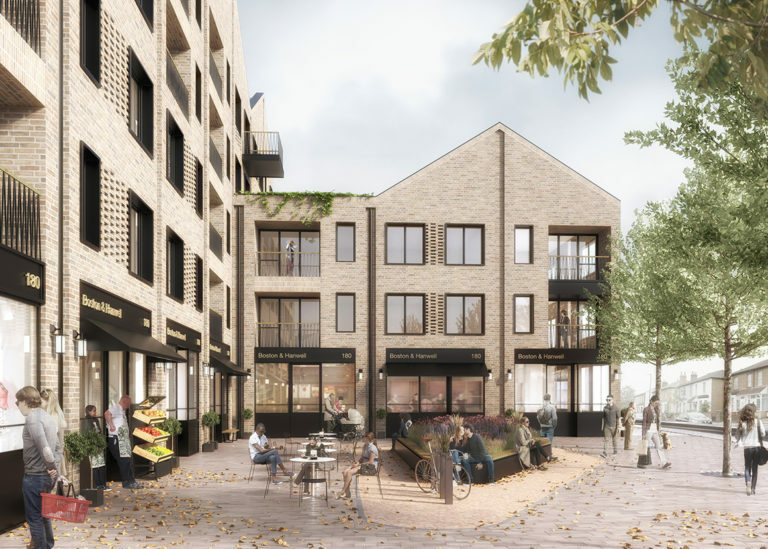 A blend of housing tenures, retail space, workspace and amenity space will provide residents and the wider public with a bustling market square at the edge of Hanwell. Affordable housing is a large part of the scheme, making up 35% of the total apartments and 37.6% of the total area of the development. The scheme offers a wide range of studios and one, two and three-bedroom apartments, providing a housing solution for single professionals and young families alike. The project includes generous amenity spaces throughout the scheme, enabling the residents to view the entire development as their home, rather than just their apartments. Amenities such as garden terraces, play space for children and rooftop gardens are dotted throughout the design. Assael’s urban design approach ties together the existing residential developments in the area, together with the use of soft brickwork to create a project that is contemporary but sympathetic to surrounding buildings and infrastructure. The brick façades with recessed details, combined with large windows, maximise natural light in both the amenity spaces and the residents’ apartments. The design of the ground floor commercial space complements the existing shop fronts in the area and creates an active retail frontage with flexible workspace for start-ups and small, medium enterprises (SMEs). 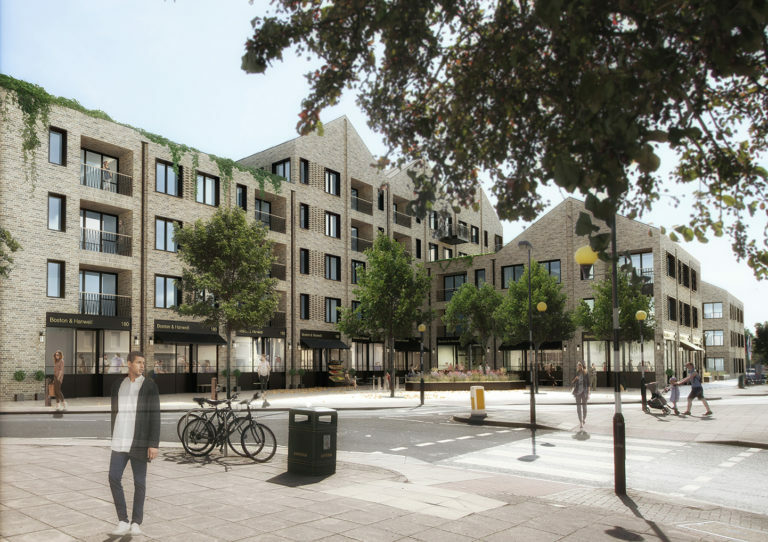 The brickwork of the building and the dark frame shop frontages aim to successfully complete this ‘Urban Village’ in Ealing.